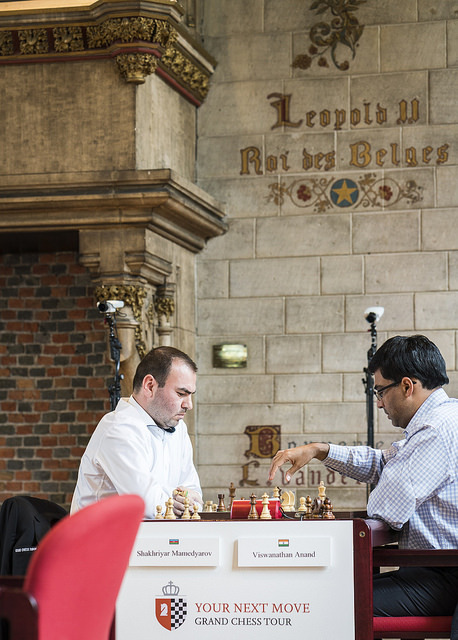 “He’s played supremely well” was Nigel Short’s verdict as Wesley So beat Fabiano Caruana and Shakhriyar Mamedyarov to take the lead after Day 1 of the Your Next Move Grand Chess Tour in Leuven. 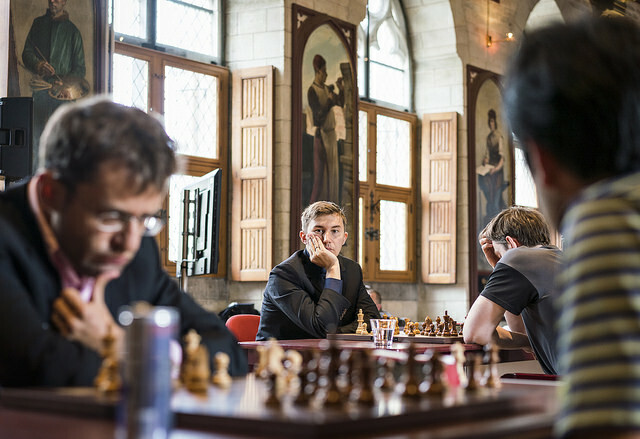 It was déjà vu, since Wesley started fast in 2017 as well only to eventually finish 2nd after Magnus Carlsen dominated the blitz. 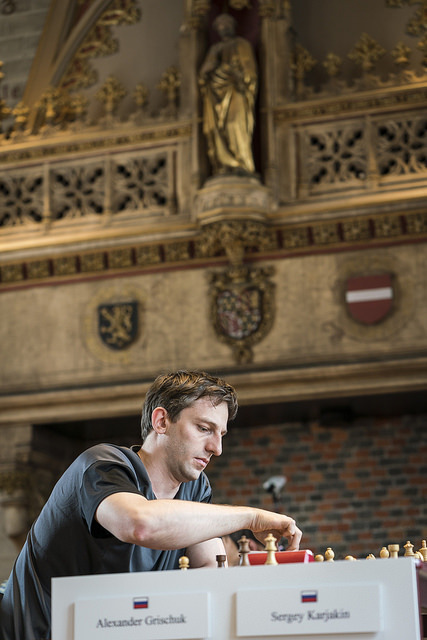 Magnus is missing this year, though, and so far Sergey Karjakin and Levon Aronian are the only other players on a plus score after a day of huge missed opportunities. When it comes to winners it’s simple. 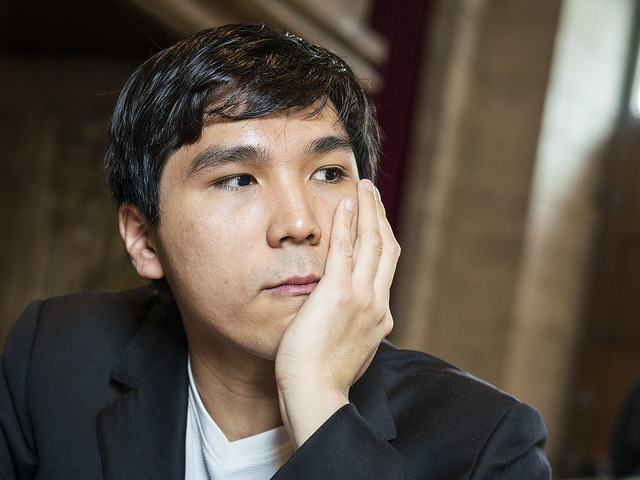 The one clear winner on the first day of the 2018 Grand Chess Tour was Wesley So. 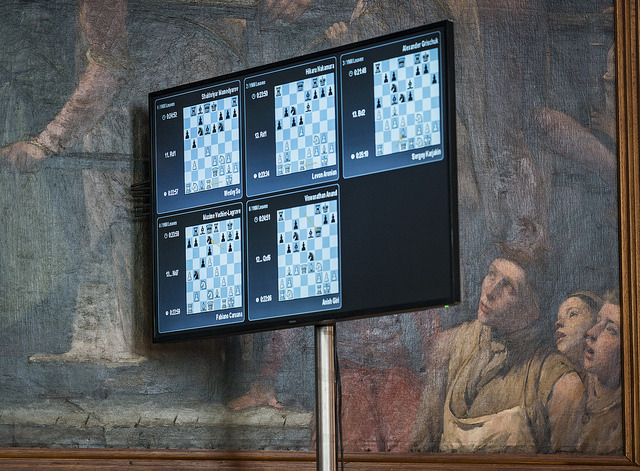 The 24-year-old ended the recent Altibox Norway Chess on a sour note by losing a game in which he had serious winning chances and then should have drawn just after the time control. 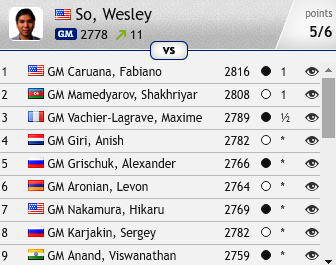 His opponent, Fabiano Caruana, finished first and stole all the glory, while Wesley finished only fifth despite winning the opening blitz and getting his first ever classical victory against Magnus Carlsen. On the bright side, he didn't need to wait very long for revenge! He once again had Black against Fabiano, but this time he went on to smoothly outplay his opponent in a technical game that ended up as a massacre. This was the final position after 48…Rxg4! 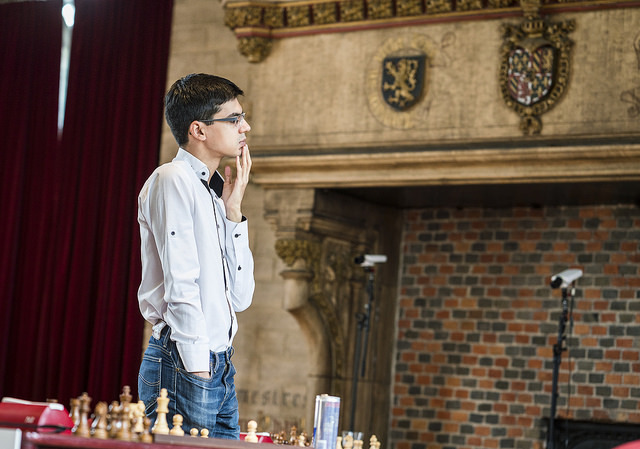 It was a similar story against Shakhriyar Mamedyarov and Maxime Vachier-Lagrave, and while Shak came close to saving himself, 2.5/3 was a fair score overall, given how close MVL came to defeat. First off, I’d like to thank the Lord for giving me a great start first day. Looking at the pairings last night I had two Blacks and then White against Shak. These guys are all higher rated than me, and I thought 50% would be a good result, actually maybe a great result, but having +2 is just so much better! I have a feeling rapid and blitz will become more popular in the upcoming times, so players are going to have to get used to it now. 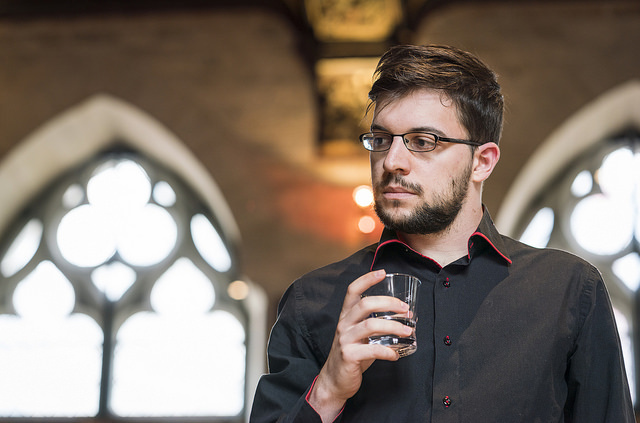 It’s not all about classical chess anymore! 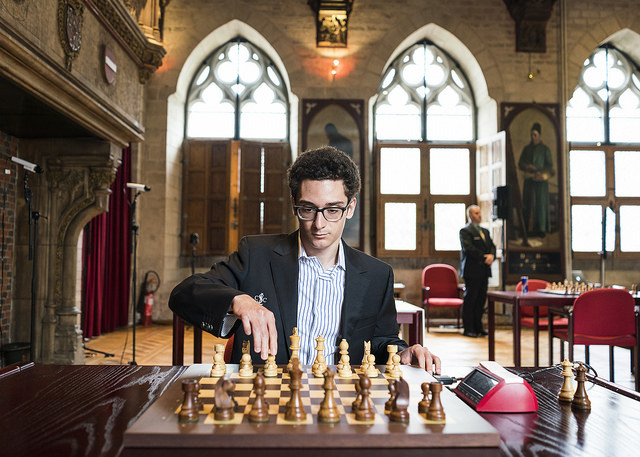 …whereas Fabiano Caruana, who of course has his World Championship match coming up later in the year, wherever that may be, he’s had a bit of a shocker. 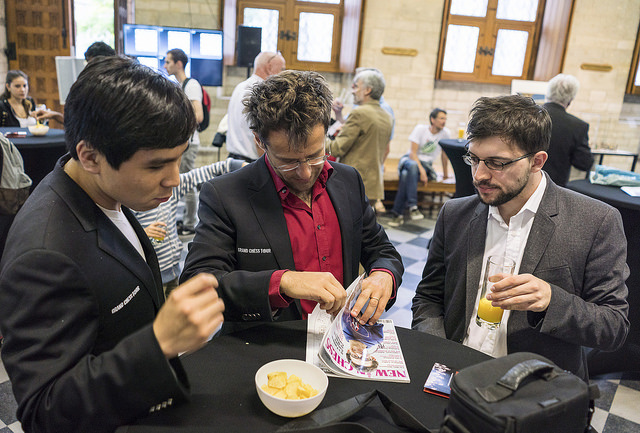 He’s been butchered in a couple of games, firstly by Wesley So and this last game now was horrific against Grischuk. He was annihilated really right from the opening. After 14…Bxf3?, played in 3 seconds, it really was all over. 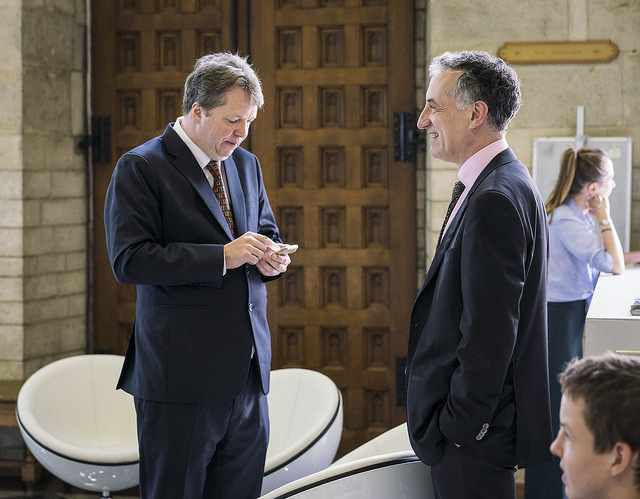 15.gxf3! may have been best, but after 15.Bxd6 Bh5? 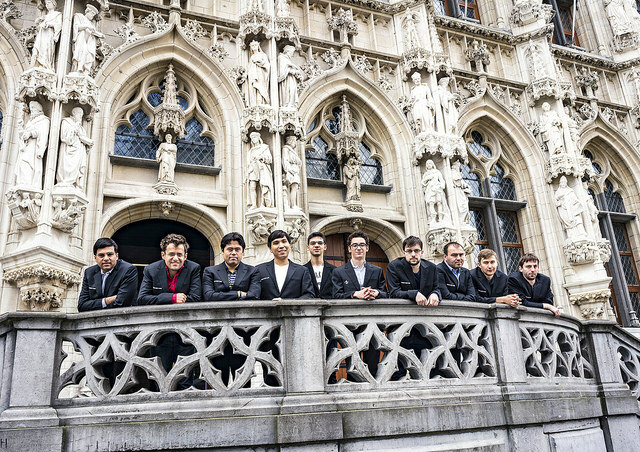 16.Bc7! it was painful to look at Black’s position. Instead after 14…Ne4! it seems Black could limit the losses to a single pawn and retain decent drawing chances. He eventually defended the piece with 34.b3 and went on to draw, but 34.Qg5! was crushing – e.g. 34…Rxc4 (you may as well get a piece for your suffering) 35.Ne7+ Kf8 36.Rf1+ and Black’s days are numbered. 21…Bxg2!! 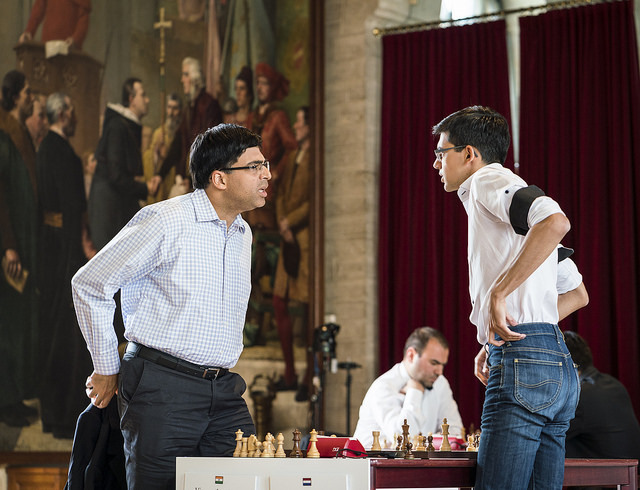 eventually led Shak to his first win since toothache struck before Norway Chess, though Vishy gave as good as he got and fought back to an equal position before eventually losing a tricky ending. I played 34.d4? and next second I realised that I blundered, and also it was very critical, because he was thinking for maybe 30 seconds here, but he didn’t find it. Of course I was lucky! 34…Qxg2+! 35.Qxg2 Rxg2 36.Kxg2 fxe3 and Black is just a full piece up. Instead after 34…Rf6? 35.Re4 Qg3+ 36.Qxg3 fxg3+ White was no worse and Sergey eventually even went on to win! Ouch! Who would do a thing like that? We have two more days and six rounds of rapid before two days and 18 rounds of blitz, with everything still to play for. Make sure to tune in to the show from 14:00 CEST each day!